Description: We are thrilled to be hosted at the home of Kathy and Marc LeBaron and joined by distinguished artists represented in the LeBaron’s collection, including Linda Fleming, Tom Fruin, John Himmelfarb, and Peter Shelton. 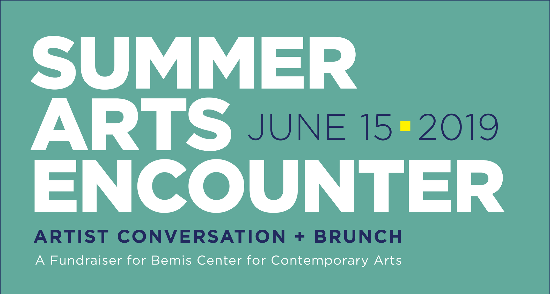 Featured artists will speak about their works during an engaging conversation with our hosts, Kathy and Marc, and Bemis Center Executive Director Chris Cook over a festive brunch. Join us for this celebration of contemporary art and the Bemis Center’s artist-centric mission.